It’s time for another photo contest!!! Location Requirements for Photos: The photos must have been taken in the Great Smoky Mountain area. Deadline: All entries must be received by November 30, 2016. Prize: Gift Certificate for a 2 Night Stay in one of our 1 or 2 bedroom Rental Cabins. Judging: Judging will take place through December 20, 2016. Can previous contestants/winners enter photos if they have submitted photos to our other contests in the past? Yes, anyone can enter even if they have submitted photos in the past. Is there a limit on the number of photos I can submit? Yes, we are limiting each person to 15 entries. The use of multiple email addresses by the same person or having every family member enter 15 could lead to disqualification so please be fair and understand the reasons for the limitation. Are there any restrictions to what kind of photos I may enter? Yes! 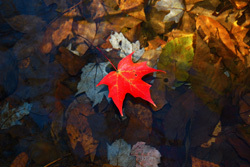 Photos must be your own original work and must be consistent with the category listed above, Autumn in the Great Smoky Mountains. If you don’t have any photos yet, come visit, quick! One good idea is to visit the Great Smoky Mountains National Park website to start planning where to go to see the fall colors. Feel free to email or call with questions. Good luck & I look forward to viewing a ton of great photos! Rentals located at 207 Parkway in Gatlinburg. For more info. 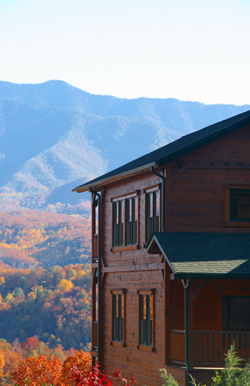 on a Gatlinburg Cabin for your Smoky Mountain Vacation or all the reasons to move to the Smokies, call 1-800-309-0277. ERA In The Smokies is a leader in chalet and Log Cabin Rentals and Real Estate Sales in the Gatlinburg area.